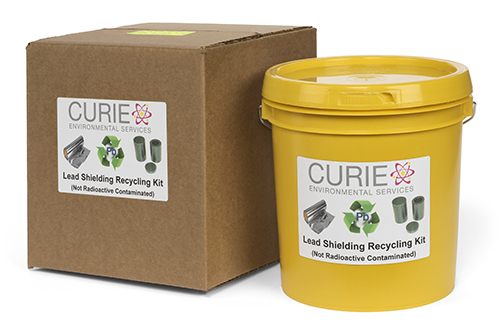 The lead shielding recycling kit is designed for accumulation and shipping of non-radioactive lead metal shielding from medical, industrial and dental operations. Typical lead articles include; foil, sheet, pigs, radiopharmaceutical shielding, small bricks and dental bite wings. 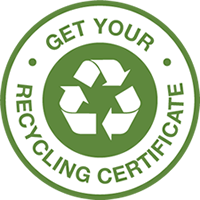 The kit includes the outer fiber box, inner 1 gallon poly accumulation container, packaging instructions, prepaid UPS ground shipping both ways and recycling. The 1 gallon accumulation container kit will hold approximately 25 pounds of lead metal.